MARKETING METRICS · 8-MINUTE READ · By Mustafa Khundmiri on October 3 2017. Growing a SaaS business is not an easy task. The environment requires you to constantly attract a high volume of leads and turn them into recurring customers. With people able to cancel their membership at any time, your bottom line is never safe. The typical SaaS marketing funnel looks like this: Acquire, Engage, Retain. PPC is a popular tactic amongst SaaS companies to drive growth because it’s fast and lets you measure down to the tee how much return you’re getting for every dollar spent. After all, no one wants to wash money down the drain thanks to a leaky funnel. In this post, I’ll discuss the key PPC and other marketing metrics worth tracking in order to achieve long-term success. For both established and new SaaS firms, brand awareness is a top priority. Running paid search or paid social ads lets you get your business in front of a large audience and speed up lead acquisition. Naturally, you want your ads to be seen and clicked. Ads are a way to shepherd prospects to your landing page (or website) for conversion. How do you measure the effectiveness of your ads? By looking at the click-through-rate (CTR). The value is calculated by relating the number of clicks vs impressions (views). A high CTR means that most people who see your ad actually click it. With average CTR across all industries at 2%, any value above this benchmark is considered good. You should always be tracking for changes in CTR to identify opportunities or issues with your ad campaigns. The conversion rate tells you how many people who clicked on your ad went on to complete your desired action. This could be making a purchase, filling in a form, or signing up for your newsletter. Think of it as a continuation of the CTR. You don’t want to pay tons for just clicks and traffic. Ideally, you want traffic to take meaningful action so that you have ROI from money spent on advertising. 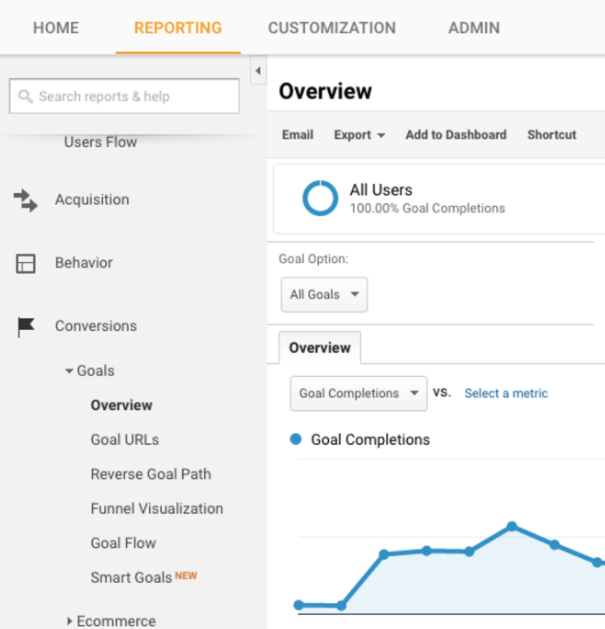 You can track conversion rate easily in Google Analytics. Simply head to the ‘Conversions’ tab and set a conversion goal. If this doesn’t solve your problem, the issue could range far more complicated than any of the issues listed above (or even simpler). For example, changes may occur due to seasonal patterns or could be a result of a changing business landscape. Take time to investigate properly the cause before taking any drastic actions. If you fancy measuring the success of an ad campaign in terms of monetary gain, consider looking at the return on ad spend (ROAS) metric. 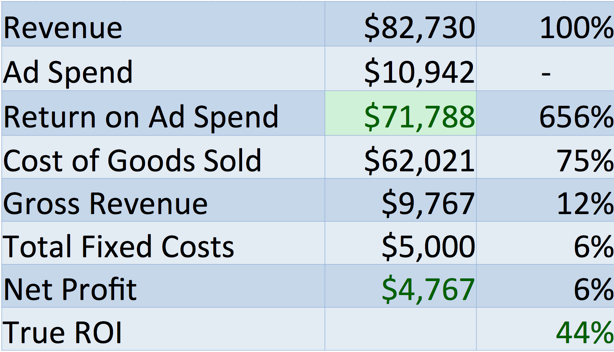 Instead of measuring how revenue changes in relation to cost as ROI measures, ROAS helps you gauge the true effectiveness of an ad. How? By telling you how much revenue each dollar spent on an ad generates. To determine your ROAS goal, you need to look at your profit margins and then work out how much room there is to experiment with different ad budgets. Up until now, I’ve talked about metrics which help optimize lead acquisition. CTR and conversion rate are not uniquely specific to SaaS. The same metrics are looked by other verticals (for example – eCommerce) running PPC ads. Let’s move on to the next stage in the funnel – engagement. If your database is growing exponentially with leads but your sales revenue remains stationary, clearly there’s something wrong with your nurturing campaign. To prevent such a dramatic mismatch, measure the lead velocity rate (LVR). This metric shows you the change in qualified prospects (likely to convert) on a month-to-month basis. If LVR is going down, that’s an indication of diminishing sales revenue in the future. By keeping a watchful eye, you’re able to mend the situation before your bottom line takes a hit. 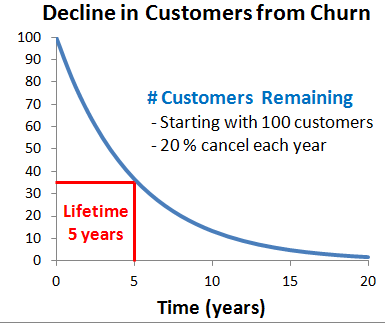 Perhaps there’s no better metric to look at than churn rate in the retention stage. 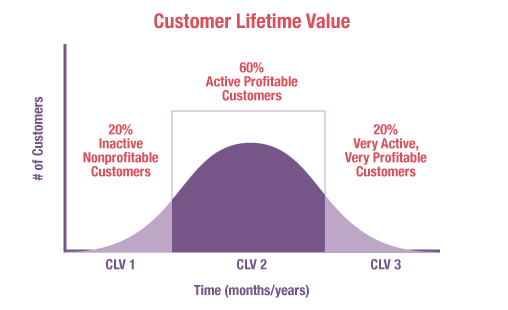 It’s a measure (in percentage) at how often you lose a customer over a period of time (generally monthly or yearly). When it comes to churn, most people immediately think to measure it in terms of how many customers they can expect to drop out. This is only accurate if all your customers are on the same plan (universal price). However, if you have customers at different price points, simply looking at customer churn rate is risky. What you should be doing is looking at revenue churn instead. Otherwise, you might be fooled by a low churn rate that’s actually eating a large chunk of your revenue. For example, let’s say you have 50 customers. 45 of them pay $100/month for a plan while the remaining 5 pay $1k. If the latter 5 all suddenly dropped, your customer churn rate may not set off alarm bells but your revenue just took a massive hit. Remember, that some churn is unavoidable. You’ll never be able to get a churn rate of 0%. Instead of wasting your efforts in such a pursuit, try to minimize it as much as possible. Try to keep your profits in the positive despite some drop-offs now and then. This helps your business remain profitable in the long run. Remember that customer acquisition and retention are expensive activities. How long does a customer need to stay on before you break even? become profitable? This is critical for planning your strategy. Also, keep in mind that it’s 5x costlier to acquire a new customer than retain one. Perhaps, it’s wiser to shift your strategy to retention rather than acquisition after you’ve hit a certain milestone. These are all questions CLTV can help you answer. Throughout this piece, I’ve touched on how to track or measure numerous metrics. Sure, you can check the performance of each manually if you’re running only a few campaigns. However, if you have more than a dozen campaigns live at any given time, this method becomes time-consuming and inefficient. You need to be able to visualize change as it happens. Supermetrics helps you import marketing data from various platforms into one dashboard, be it in Google Sheets or in Google Data Studio. Ideally, you should create several reports for various time frames: one report might look at data bi-weekly while another report takes into account data from every quarter. If you want to learn how to create marketing dashboards from blank sheets, take a look at our guide. With the SaaS space becoming increasingly competitive, there’s no room to be lax. In this article I have highlighted main marketing metrics SaaS companies should pay attention to, however there are many more KPIs SaaS companies should consider while developing their strategy. A combination of the right metrics and tools to measure those will help you stay on top of your marketing game.